Charlie Brown never kicked that damned football clear to the moon and, well, after Steam Machines never materialized last summer as expected, we all started to wonder if Gabe Newell wasn’t playing mean old Lucy. Well Chuck, your time may have finally come. Gaming giant Valve unveiled—no, re-unveiled—no fewer than 14 different Steam Machines at this year’s Game Developer’s Conference. While this probably comes as no surprise to those who never doubted the Steam Machines would happen, the move helps to dispel fears that the Steam Machine initiative had died and been put into a shallow grave outside Bellevue, Wash. Looking at the wall of Steam Machines on display in Valve's GDC booth, just about every hardware vendor seemed represented. I saw Steam Machines running everything from Pentium processors to Core i7 chips and yes, AMD's Athlon CPUs, too. Graphics-wise, Intel integrated graphics, AMD Radeon cards, and even Nvidia's new Titan X were all represented. But again, that has been Valve's intention from the get-go: to replicate the open and diverse hardware universe of gaming PC's but this time, without Microsoft's presence or influence. Pricing of the Steam Machines on display also ran the gamut from affordable to luxury. Alienware's Steam Machine with the Steam logo will finally ship. Interestingly, the cheapest of the Steam Machines continues to be Alienware's box. I expected Alienware to refresh its Steam Machine for the launch but it doesn't appear to have changed. I reviewed its Windows cousin last year and found it to be a nifty little machine that was surprisingly capable—and cheap. The shocker may be that the Windows-equipped Alpha may actually be cheaper than the Steam Machine version. The Alpha has bounced as low as $450 from its intro price of $500, with an Xbox 360 controller and Windows. Valve says the Alienware is expected to cost $479 with a Steam controller (read our impressions of Steam's final controller here) and SteamOS. 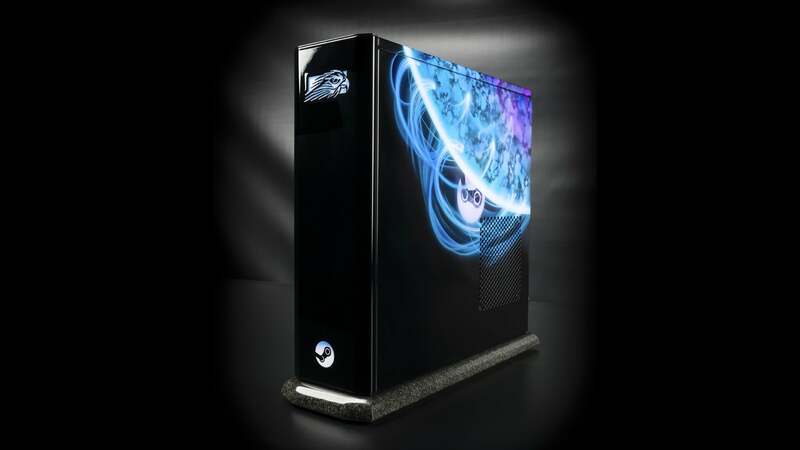 Since Windows isn't free you'd think the Steam Machine version would slightly cheaper. Nope. With its GeForce 860M-equivalent graphics, the Alienware certainly won't send your frame rates to the moon but your wallet at least stays on the ground. That can't be said of all the Steam Machines, which you can actually see right here on Steam. Steam Machines can be fast and small. This Falcon Northwest Tiki packed an Intel Devil's Canyon CPU and GeForce Titan X inside. In one demo Valve showed us, a Falcon Northwest Tiki equipped with a Core i7-4790K "Devil's Canyon" CPU and Nvidia's Titan X GPU chewed through Unreal Tournament 2015 at 4K resolution and 60Hz. The most capable Steam Machine on display though, was probably Origin PC's Chronos. 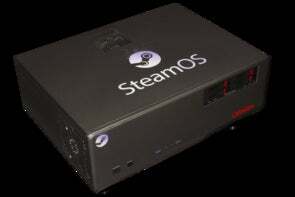 This HTPC-styled Steam Machine was the only one capable of taking more than one graphics card. Of course, it was also the largest Steam Machine physically, too. Origin PC's Chronos will run multiple GPUs making it one of the more powerful Steam Machines at launch. As Steam Machines are intended to go into the living room, most were far smaller with the diminutive Gigabyte Brix Pro. The box, surprisingly, isn't the Brix Gaming rig its discrete graphics but a quad-core Brix Pro with a Core i7-4770R CPU and Intel Iris Pro graphics. In pure performance, it'll probably be the weakest in graphics grunt. The most powerful of the truly small boxes may be Zotac's mini Steam Machine with a GeForce 970M inside and, the company said, a 6th gen Intel CPU. That's basically code words for Intel's upcoming Skylake CPU. Zotac said since the launch is down the road, it expects to have Intel's next-gen available to use. Even if it shipped with today's Haswell quad-core core though, it's a nicely outfitted with two Gigabit ports and four HDMI 2.0 ports. Although the demo unit had a miniDisplayPort on back, the final unit will not, Zotac said. This much hardware isn't cheap though. Though small, the Zotac is $1,000 so it won't be for someone who is merely SteamOS-curious. That's ultimately one of the roadblocks for Steam Machines. Even at $500 for the lower-cost Steam Machines, it's an expensive experiment. Sure, there's an argument that the dirt-cheap games found in Steam Sales offset the hardware price pretty fast, but the native Linux games compatible with SteamOS are still far out numbered by games for Windows—and Steam Sales also apply to Windows games. The other problem for Steam Machines may be from Valve itself. The company dropped a little surprise this week when it announced the Steam Link, a tiny little streaming box that uses Steam in-home streaming to send games from your gaming PC to your TV over your home network, for just $50. In a short demo with Valve, we tried the Steam Link and found it surprisingly effective, and perhaps one of the better streaming boxes we've used so far. Was it as good as a real PC under your TV? No. But, hell, it's $50. Valve's own $50 Steam Link was designed for Steam in-home streaming and Steam in-home streaming alone. That may ultimately rub Steam Machine vendors the wrong way. Who is going to drop $500 to $2,000 for a Steam Machine when he or she can just stream their Windows game library from an existing PC to the TV? This band-aid to get around the limited Steam for Linux library may create wider ecosystem issues. Steam officials I talked to brushed aside concerns about the Link potentially clock-blocking its hardware partners. Instead, Valve is offering options. Some will want a Steam Link, while others will want the better experience of a real Steam Machine. Valve also points out that any Steam Machine can act as the host and stream games. And certainly some of the Steam Machine vendors seem fine with the idea, because it just means gamers will buy more hardware from them. 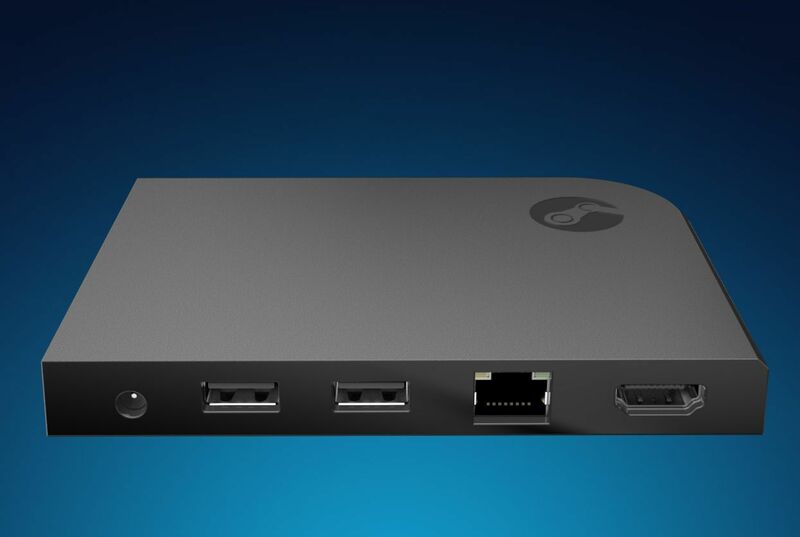 "We think the recently announced Steam Link will be a great supplementary product for gamers. 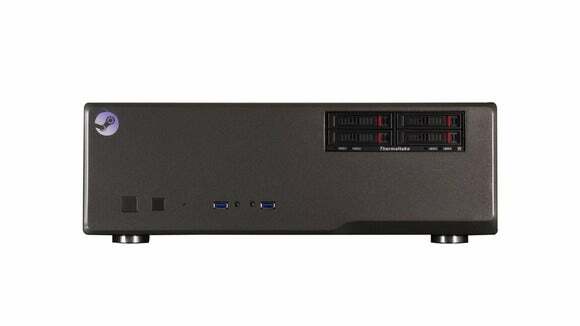 Our gaming PCs are packed with the latest hardware to play the most demanding games, but now there will be a low-cost box that allows you to stream that beautiful content from your gaming PC to the living room," Eric Cheung, CEO of CyberPower told PCWorld. "This is a great way to expand the PC gaming platform, and we look forward to offering Steam Link as an add-on to our high-end PCs when it becomes available later this year." Of course, all this may just be getting ahead of ourselves. At last year's CES, the company also had a wide range of Steam machines on display but the delay of SteamOS itself killed the 2014 endeavor. The same could happen this year, too. No way, Steam's Erik Wolpaw says. 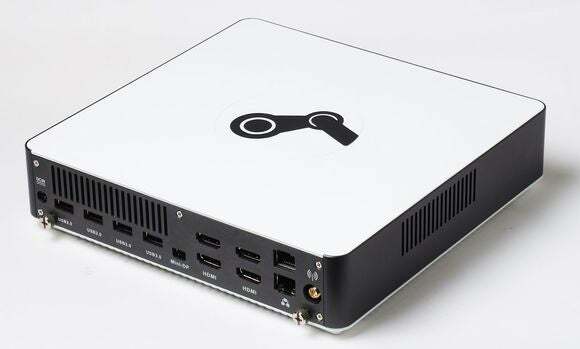 In fact, Wolpaw says he guarantees "100 percent" that Steam Machines will ship by November this time.